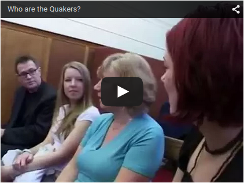 Quakerism is a way of life rooted in a transforming experience of the Divine. From this we seek to live out our principles of truth, peace, simplicity and equality, recognising that of God in everyone. Our Meeting offers a place of welcome, encounter and spiritual exploration. Interested in hiring rooms? Here's where to start.